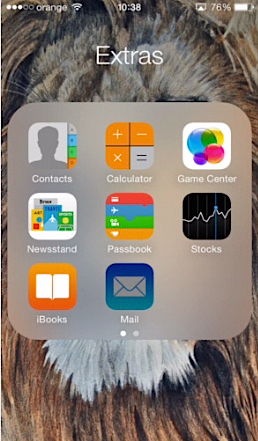 In this tutorial, you will learn how to get notifications for important emails on iPhone running on iOS8. Imagine yourself travelling and simultaneously checking your email using iPhone in a fear to miss important replies to your email. We did it more than once and it’s not very comfortable. 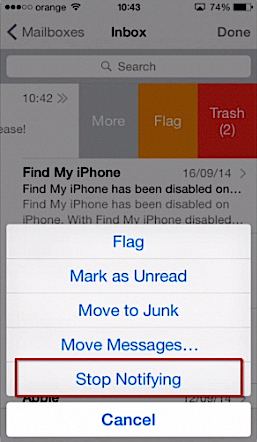 Using a new email notification feature of iOS8 you won’t have to check your email every single minute. Step 1. 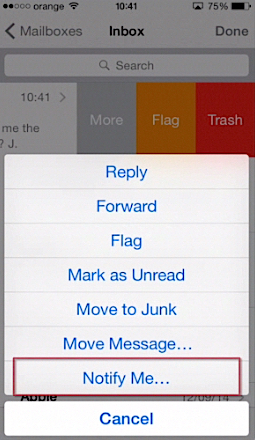 Just go to your Mailbox on iPhone, find that important message and swipe to the left on it. Step 2. From the appearing “More” menu, choose “Notify Me” option. From now one every time someone replies to that important email thread, you’ll get a push notification. Every email thread with such notifications turned on will be conveniently marked with a little bell. Step 3. If you want to stop notifications from particular email thread, swipe to the left of the message and, from “More” menu, tap “Stop Notifying” option. Result: A great add-on, isn’t it? Now you don’t have to frantically check your mailbox every given minute:) You’ve just learned how to get notifications for very important emails on your iPhone running on iOS 8.